The Kartell children's chair Lou Lou Ghost by designer Phillippe Starck is like its big brother - Louis Ghost - made of transparent polycarbonate and therefore suited for indoor and outdoor use. You can now get the design classic as special edition for the children's room. 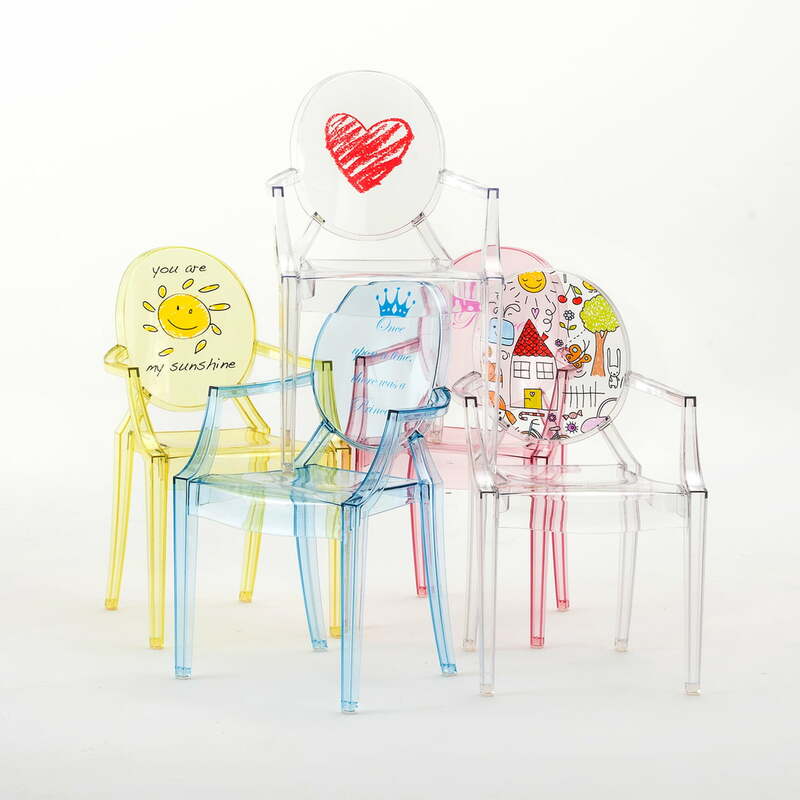 Lou Lou Ghos is made of robust polycarbonate making the kids chair robust and almost indestructible - ideal for the children's room. But the chair is also suited to be used in the garden, thanks to its robust material. You can stack up to six children's chairs at the same time and store them saving some space. This way, there is enough room to play. 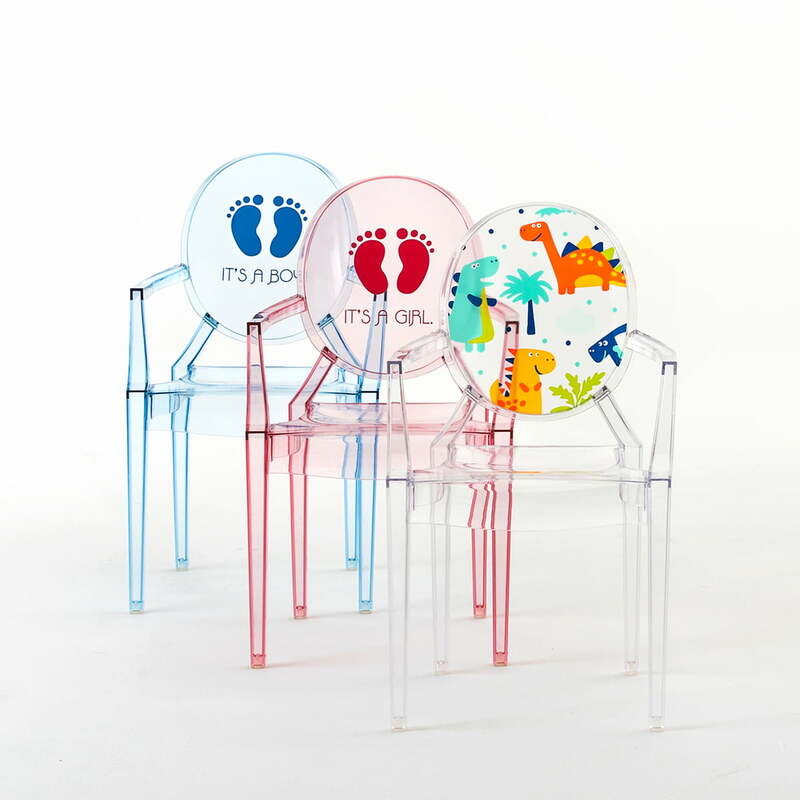 The robust and light children's chair from the special edition is available in different cheerful patterns and in various colours. This way, the individual children's chair is easy to adapt to the room's colours. Details stackable max. 6 pcs. 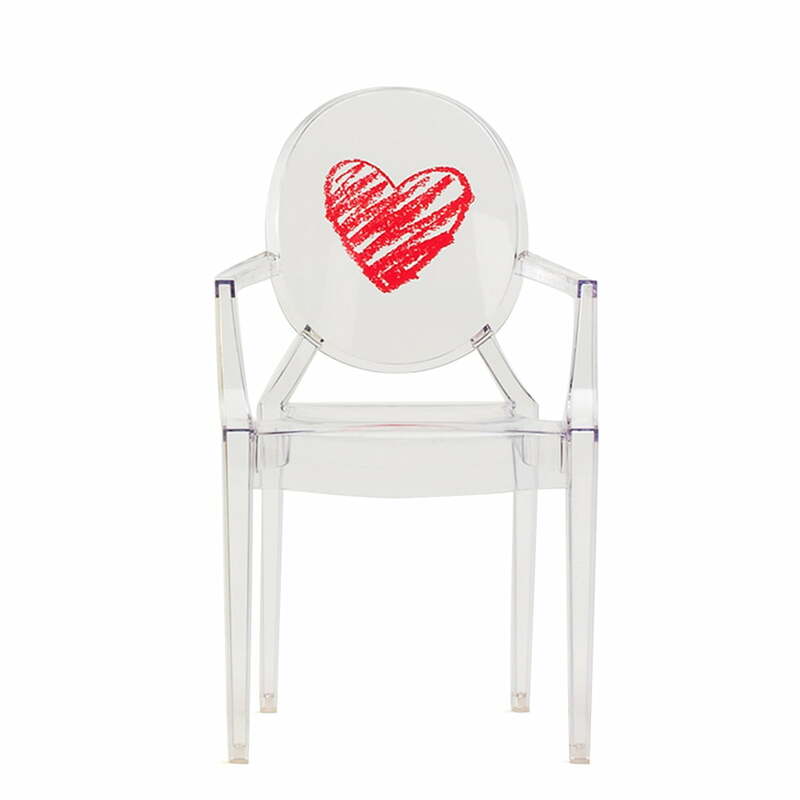 The Kartell children’s chair Lou Lou Ghost by designer Phillippe Starck is like its big brother - Louis Ghost - made of transparent polycarbonate and therefore suited for indoor and outdoor use. 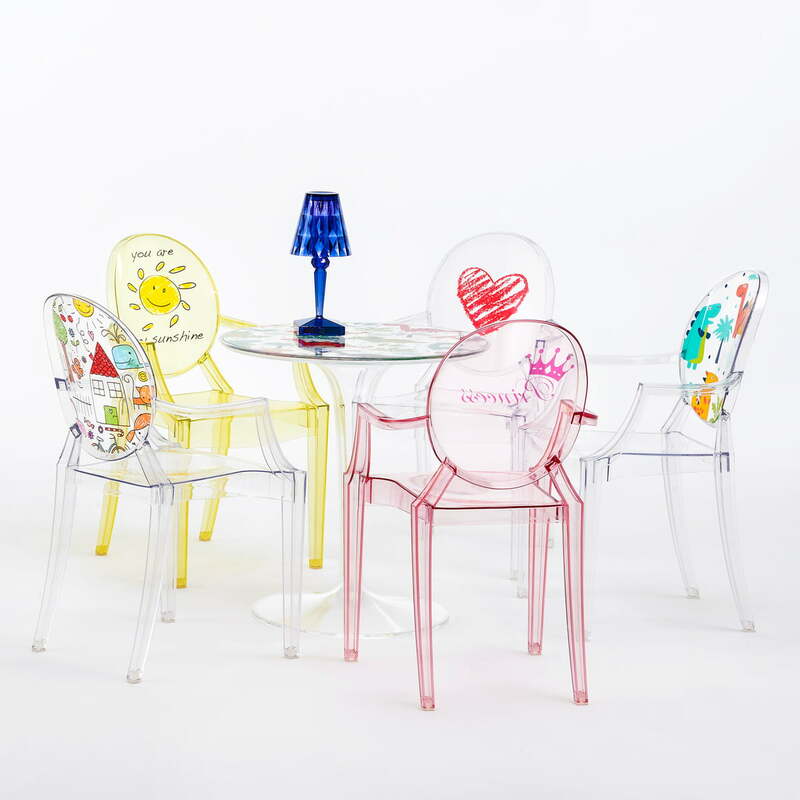 The Lou Lou Ghost Special Edition chair and the Tip Top Children’s table were designed by the designer Phillippe Starck for Kartell’s Kids collection. 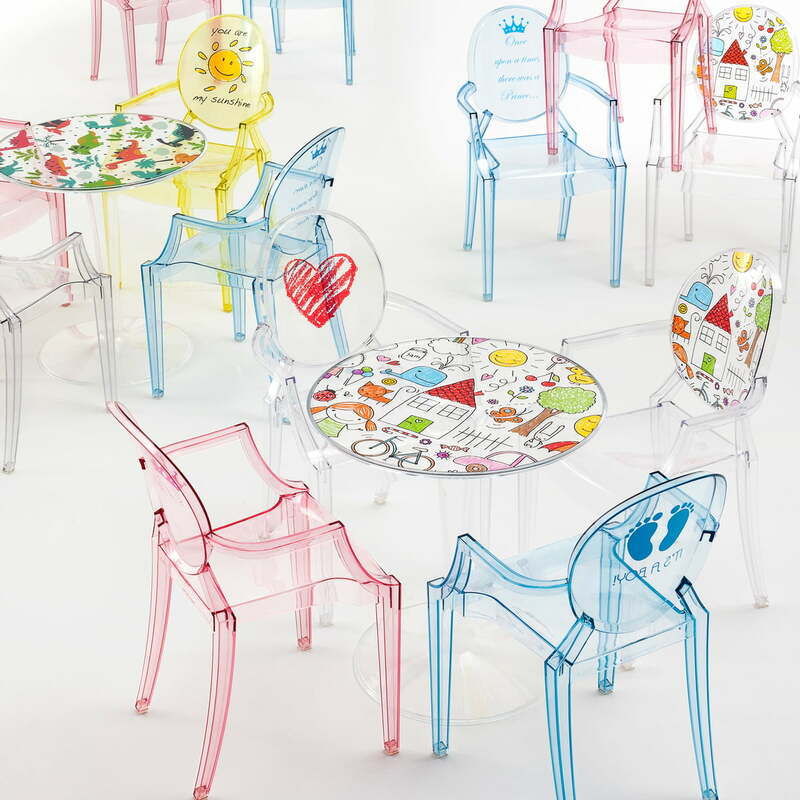 Lou Lou Ghost and the Tip Top Children’s table are made of robust polycarbonate making the furniture robust and almost indestructible - ideal for the children’s room. 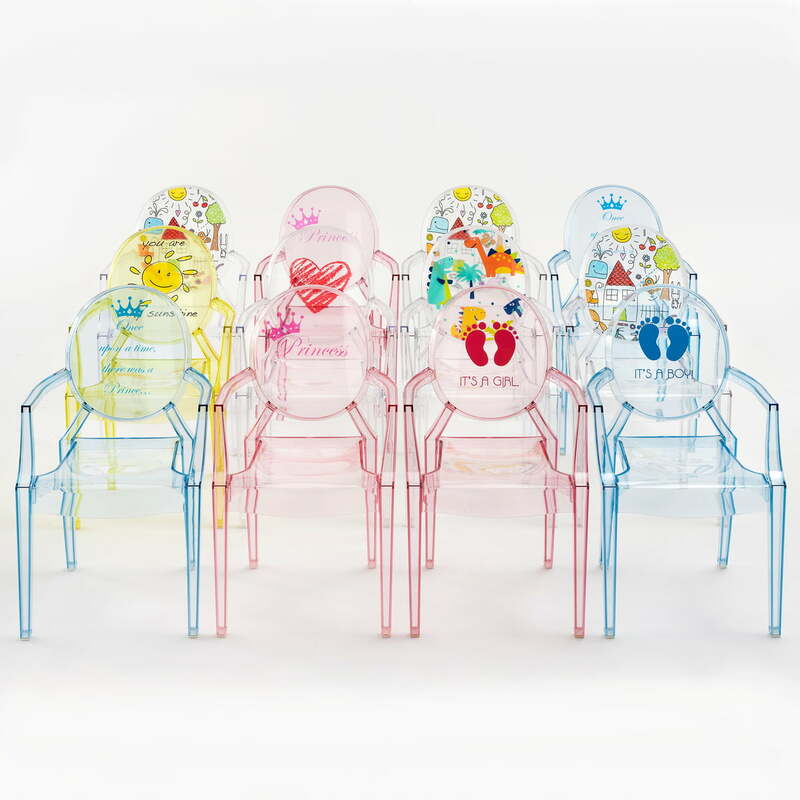 The Lou Lou Ghost Special Edition by Phillippe Starck for the Kids collection by Kartell is adorned with pretty children’s motives like a sun, a heart or dinosaurs.